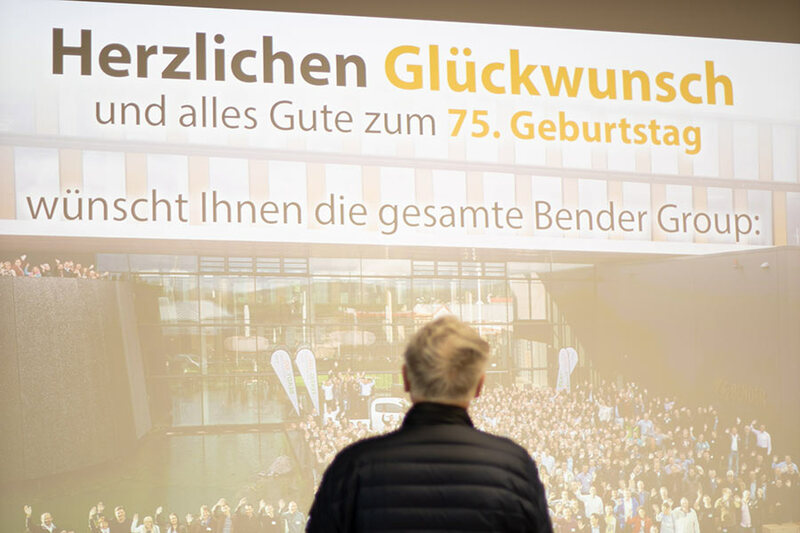 Bender Group employees at the Grünberg site surprised their senior director, Dietrich Christian Bender, with a birthday serenade today to mark his 75th birthday. 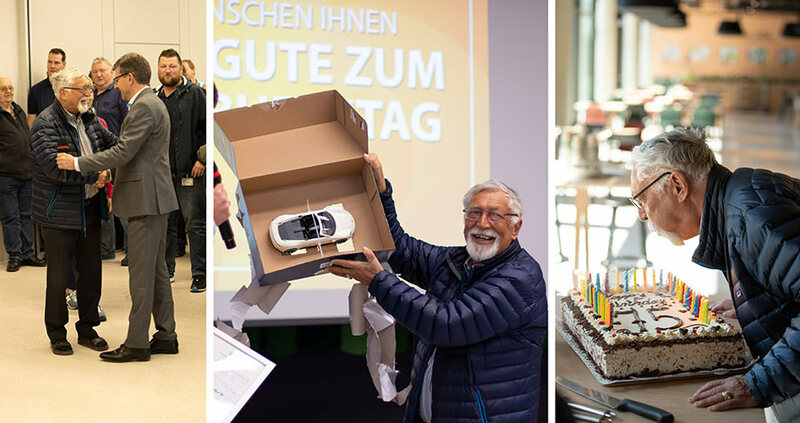 The representatives of the works council and the youth council wished him a happy birthday on behalf of the workforce. Colleagues from the Siersleben site and overseas sent their best wishes via video message. It all started back in 1937 when his father, Hans Walther Bender, invented the ISOMETER®, an insulation monitoring device. It was a ground-breaking innovation that revolutionised protection against the dangers of electrical currents. In 1946, Walther Bender established an engineering office, thus creating the foundations for the expansion of the company. 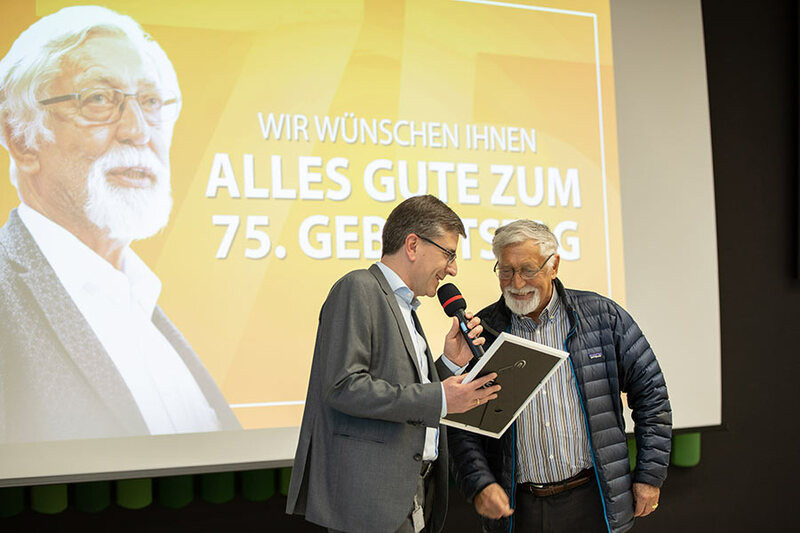 In 1972, Dietrich Christian Bender took over his father’s business and its 28 employees; over the following decades, he initiated the industrial production and worldwide distribution of the ISOMETER®. The Bender Group operates worldwide and owns 14 companies. In 2018, some 820 employees generated an annual turnover of 135 million euros.